FREE Canvas Lites, just pay shipping. Drag your best photos and digital images out of storage and celebrate them with our custom printed Canvas Lites. 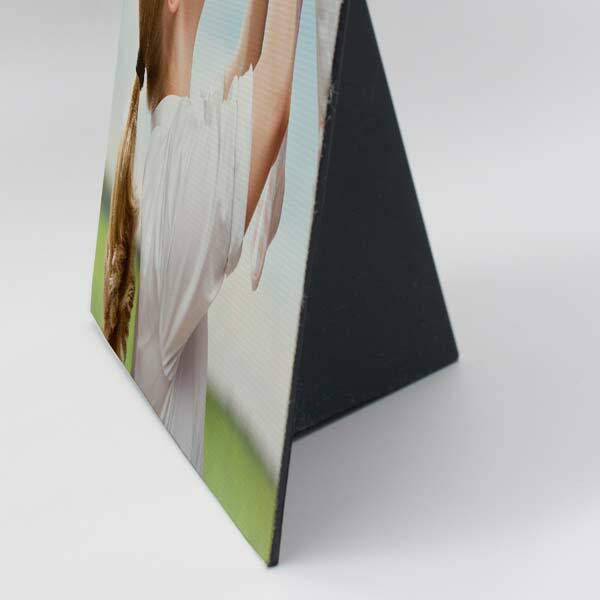 Our Canvas Lites are mini canvas prints that include an easel back for easy display on any desk, mantle or bookshelf. Show off your best moments and add a little panache to your interior décor with a boldly colored photo. We also offer a range of photo to canvas options that are perfect for displaying your memories no matter the size or décor of your room. Add an elegant flourish to your home with our range of Canvas Lite sizes that are perfect for any living area. Print your favorite photos and display them on your coffee table, kitchen counter or bookshelves for a little boost to your decor using your most cherished memories. Create yours today using our convenient project builder! First, upload your photos to your MailPix account's photo folder. Then, choose the size of your Canvas Lite print. Select either a portrait or landscape orientation. Afterwards, drag and drop your photo onto your canvas with the project editor. Once your Canvas Lite arrives, use our easy Canvas Lite assembly instructions to get your new decorative accessory ready for display. Decorate any blank side table or wall shelf in minutes with your customized small canvas print and showcase your favorite moments for all to see! Maybe you have a little table in your living room that needs a little decorative boost or the night tables in your bedroom are in need of a little color. 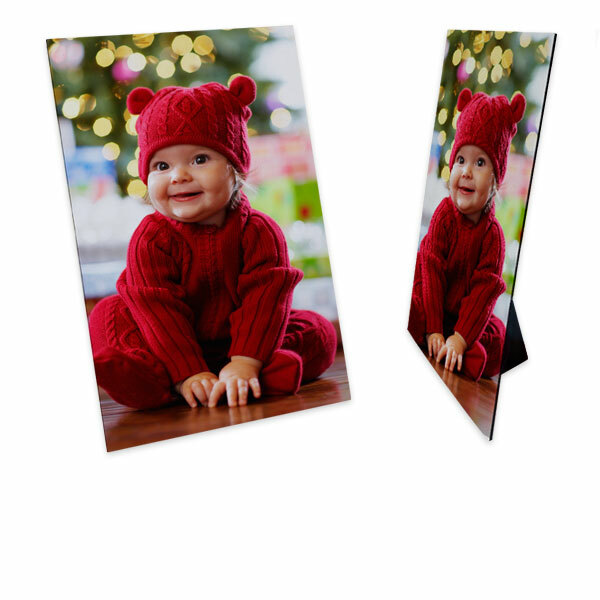 Our Canvas Lites are small canvas prints that are the perfect for showing off a favorite photo anywhere. Our 4x6 and 5x5 square Canvas Lites are sure to brighten up your décor no matter where you display them. Create your own Canvas Lite and have a small canvas print that is great for brightening up your room with memories. Perhaps your coffee table is need of some decorative accessories that will liven up your living room. Set your new Canvas Lite along with a few other knick knacks on top of a small stack of hardcover books to complete your coffee table decor. Your photo printed on canvas is sure to add a unique and stylish look to your little decorative ensemble. Maybe your bedroom side table needs a little something more than a lamp and an alarm clock. Print out a favorite photo of yourself with your loved one on our Canvas Lite, and wake up each morning to a treasured memory that adds rich, bold colors to your bedroom's décor. Just like our Canvas Lites, our easel back canvases are perfect for showing off your best photos on any flat surface around your home. Available in two sizes including 5x7 and 8x10, they have gallery wrapped edges for an elegant addition to your distinctive décor. Do you have some Facebook or Instagram pictures that are just too good to remain stored away digitally? Celebrate them with our Canvas Lites! At MailPix, you can upload photos directly from your social media accounts and use them to create a stunning canvas print for your décor. For your Instagram pictures, choose one of our three square Canvas Lite sizes and showcase your picture to dress up any room with both color and character. 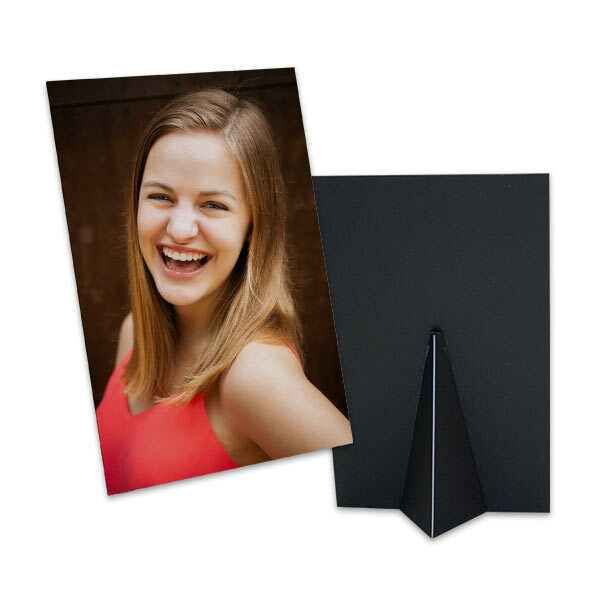 MailPix makes it easy to exhibit your best social media pictures in style with our affordable Canvas Lites! Photos are a great way to share your most treasured memories with those you love. Choose a favorite photo and design a Canvas Lite for an amazing gift that is guaranteed to please. Our Canvas Lites can be customized for anyone on your shopping list and are perfect for birthdays, anniversaries, graduations, holidays or any other celebratory occasion. Maybe you're looking for a unique birthday gift for your beloved Aunt. Find her favorite family photo and print it on a Canvas Lite for a stunning birthday present she won't soon forget. She can display them anywhere in her home from her living room mantle to her bedroom nightstand. Perhaps you need a Christmas gift for Dad instead. Look no further than our Canvas Lites! Print his favorite family vacation photo on our 8x10 Canvas Lite and give it to him for the ultimate holiday gift. He can show it off proudly at home or at the office so he can keep his favorite memory close, every day. No matter who you're shopping for, our Canvas Lites are the perfect small canvas prints for any decorating style. Both affordable and stylish, you can't beat a treasured photo printed on quality canvas! If you're looking for the perfect mini canvas prints to show off your photos, our Canvas Lites are sure to impress. Simply upload a photo from your computer or your social media account and add it to the Canvas Lite of your choice. Create your own canvas to add a little character to your bookshelf with your favorite wedding photos or add one to your kitchen counter with your best family snapshot taken during an unforgettable camping trip. Our Canvas Lites are also a great option for decorating your bedside table with a romantic photo of you and your sweetheart. In addition to your own home, they make a great addition to your loved ones' décor, no matter their style. Design one for a stunning gift that they are sure to treasure. With our various sizes and user-friendly project builder, you can transform your picture into stunning canvas décor for any occasion! Canvas Lites®: Lowest Price Photo Canvas Print for any purpose! Due to their small size and flexible materials, canvas lites are truly versatile when it comes to displaying your photos. Canvas Lites can be easily framed, and are perfect for old frames with broken or missing glass. Canvas Lites can be hung in lockers, used in photo albums, hole punched and strung up with ribbon, or you can turn your canvas into a photo sculpture just by trimming your photo before standing it up. We would love to hear how you use your Canvas Lites! Contact Us and Let us Know!